If you’ve discovered asbestos or any materials containing asbestos in your home’s interior, it is generally not a concern. However, if you were to disturb or remove VCT or asbestos tiles, or black mastic asbestos glue on afloor, then the asbestos could become airborne. In this case removal or abatement needs to be performed by an asbestos certified professional. PerfectPrimer offers a dustless option for asbestos removal. It involves the application of the primer to the surface to completely seal it. The surface is therefore not disturbed. 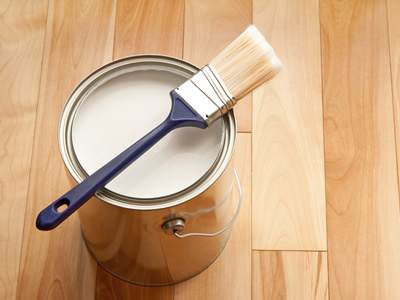 No dust is produced in the process of sealing the surface. The only waste product from the process is water vapor. You therefore won’t need any specialized equipment to prevent contamination. The process is safe and ideal for the DIYer who would prefer to do without professional services. This dustless asbestos removal option is also environmental friendly. There is no physical removal of materials. This means that there are no contaminated materials to discard to landfills or any other place. The materials remain intact and continue to function as before. The asbestos, however, will remain safely sealed beneath the primer. Once PerfectPrimer is dry, you can apply new paint, RubberDecky epoxy, or tile directly onto it. As these materials will all bond firmly with PerfectPrimer This method is not only effective for asbestos. It can also be used to encapsulateother dangerous materials such as lead and paint. It is an easy method that any DIYer can use. You don’t require specialized training or equipment to be successful. Anyone that can read instructions can successfully applyPerfectPrimer. Member that to legally meet the encapsulation requirements, you must apply a top coatings onto the PerfectPrimer. 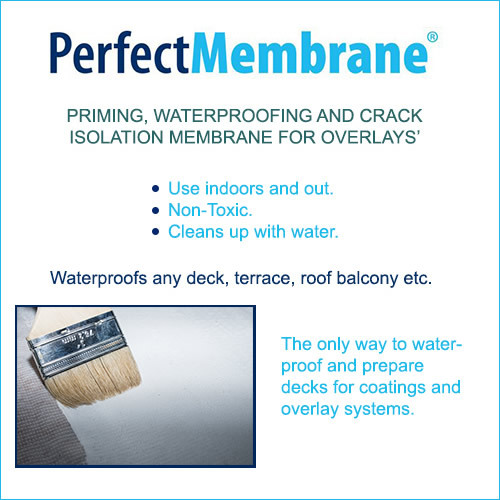 If you want to apply carpet or tile, then you must use the PerfectMembrane system to meet legal encapsulation standards.